Get Big With The Big Three! 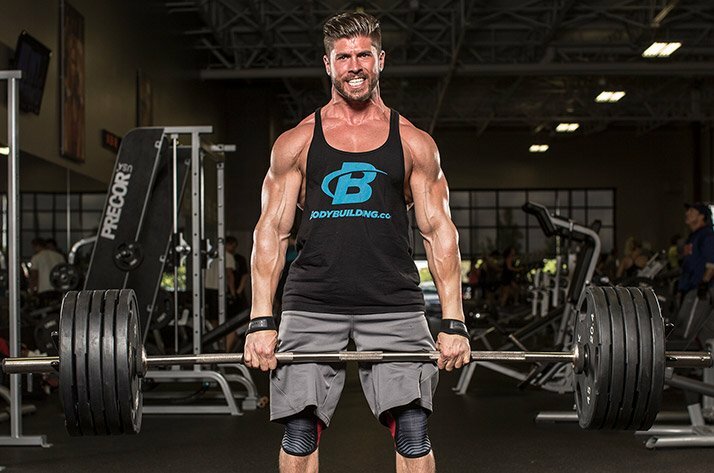 Some people will tell you the big barbell lifts aren't your best choice for muscle growth. This 5-week program proves them wrong! 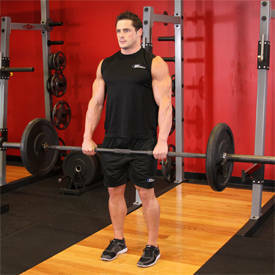 We know that the big three lifts—the bench press, squat, and deadlift—are among the best options available for building and demonstrating strength. That's why the sport of powerlifting is based on them. Their ability to build muscle, however, is often overlooked. Don't get me wrong: Machines have their place. But the trusty compound lifts are still the best bet for a lifter looking to build muscle—and build grit while he does it. Barbell lifts always have been, and always will be, the most effective way to overload the muscles and stimulate hypertrophy. They're also the most efficient, because they recruit an enormous amount of muscle simultaneously. And building a program around the core lifts is easy. That's a pretty well-rounded program by itself. But now let's make some tweaks to optimize it for building muscle. Countless dollars and hours have been spent researching what makes muscle grow—everything from training variables to supplementation to diet. The answers run the gamut, but most experts agree that there are a handful of "musts." The first and probably most important one is overload. You need to lift something heavy enough times for the body to feel like it has no other option other than to respond by building muscle. You need to lift something heavy enough times for the body to feel like it has no other option other than to respond by building muscle. You're not going to build muscle by lifting something once or twice. Repeat it a lot, though, and you might be on to something. So you need volume, and a good amount of it. 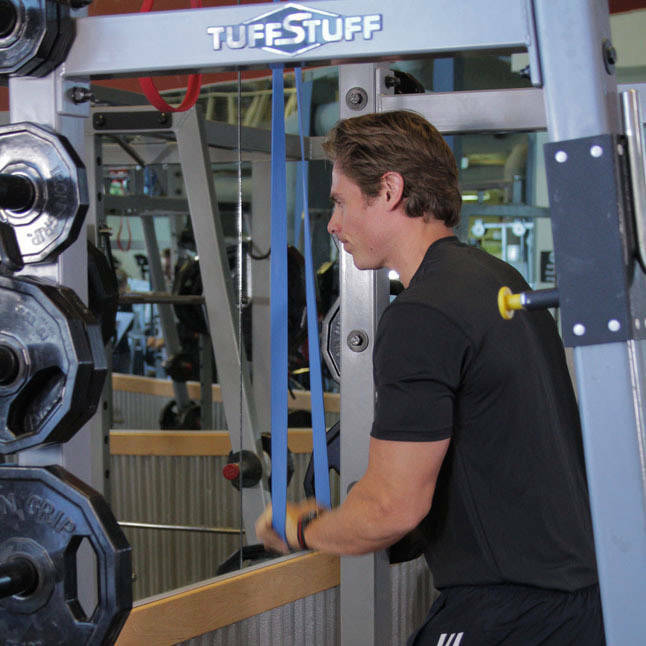 Another factor that plays a big role in hypertrophy is time under tension. In a way, this is related to volume. 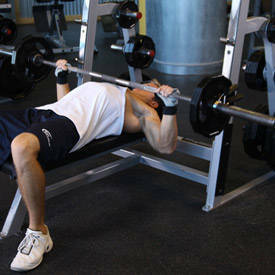 After all, if you are lifting a weight for enough reps, you will spend a significant amount of time under tension. But we can stack the deck in your favor by manipulation lift tempo. 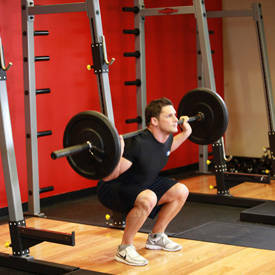 To do this, we will focus primarily on increasing the time of the negative, or eccentric, portion of the lift. But manipulating the tempo doesn't end there. 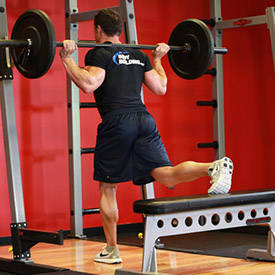 In addition to making the eccentric portion longer, we will also utilize strategic pauses on many lifts. 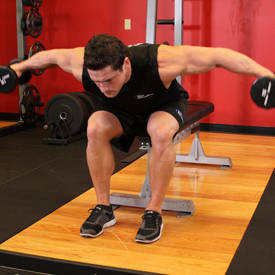 This takes away the momentum involved in the lift, making the muscles work harder and further increasing the time under tension, depending on the timing of the pause. 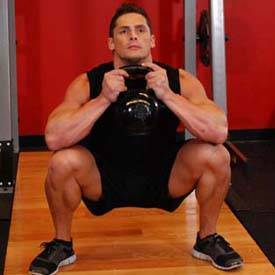 In the squat, for example, you will pause momentarily in the bottom position of the lift, taking away the lift's momentum and forcing your legs to work that much harder. In contrast to this, you will pause at the top of the leg extension to increase the time under tension in the quadriceps. The number corresponds to time in seconds (or your count in your head). An X means to lift explosively. So in the high bar squat on Day 1, you would lower the weight for a 4-count, pause at the bottom for 1, lift explosively but controlled, and not pause at the top between reps. 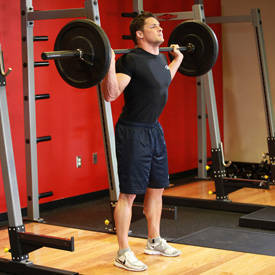 Some exercises have different tempos depending on the nature of the lift, so make sure you pay attention to each. If you don't see tempo listed, like on the set of 50 reps of a goblet squat, then don't think about tempo. Just do the reps. I know most people skip through the explanation part of the article straight to the program. I've been guilty of that myself. But if you only read one sentence, read this: You will need to significantly alter the weight you use for these lifts from what you normally lift. 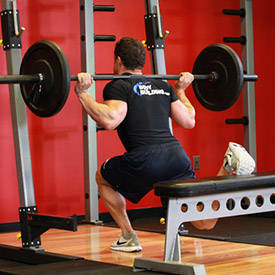 Most lifters are not accustomed to training with tempo and pauses. You should expect to knock at least a solid 10 percent—possibly more—off of your regular lifts with this style of training. Failing to do so will at best mean you won't get anywhere near the recommended rep range. At worst, you'll get injured. If you only read one sentence, read this: You will need to significantly alter the weight you use for these lifts from what you normally lift. The idea behind this program is to train smarter and harder. It's a concept I've built my entire training style around. The goal is to make the most of the weight. So if you ignore me here, you'll learn it the hard way. 3 sets of 10-12 reps, 4-1-X-0 tempo, rest 90 sec. 3 sets of 12-15 reps, 3-1-X-0 tempo, rest 30 sec. 3 sets of 10-12 reps, 3-1-X-0 tempo, rest 60 sec. 3 sets of 10 reps, rest 30 sec. 3 sets of 12-15 reps, 4-1-X-0 tempo, rest 30 sec. 3 sets of 15 reps, 4-1-X-0 tempo, rest 60 sec. 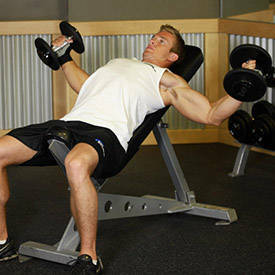 3 sets of 10 reps, 4-1-X-0 tempo, rest 30 sec. 3 sets to near failure, rest 60 sec. 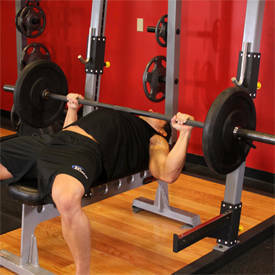 Wide-grip Bench Press Note: Hands about one hand-width wider than normal. 3 sets of 6-8 reps, rest 2 min. 3 sets of 10-12 reps, 2-1-X-0 tempo, rest 30 sec. 3 sets of 10-12 reps, 4-1-X-0 tempo, rest 60 sec. 3 sets of 10-12 reps, 3-1-X-0 tempo, rest 30 sec. 3 sets of 10-15 reps, rest 60 sec. 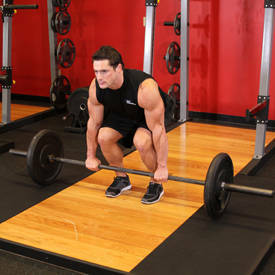 3 sets of 10-12 reps, 4-1-X-0 tempo, rest 30 sec. 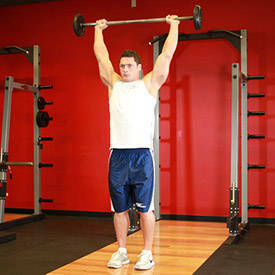 3 sets of 12-15 reps, 60 sec. 3 sets of 15 reps, 3-1-X-0 tempo, rest 30 sec. 3 sets of 10-12 reps, 3-0-X-0 tempo, rest 30 sec. 3 sets of 15 reps, rest 60 sec. 4 sets of 10-12 reps, 4-1-X-0 tempo, rest 90 sec. 4 sets of 12-15 reps, 3-1-X-0 tempo, rest 30 sec. 4 sets of 10-12 reps, 3-1-X-0 tempo, rest 60 sec. 4 sets of 10 reps, rest 30 sec. 4 sets of 12-15 reps, 4-1-X-0 tempo, rest 30 sec. 4 sets of 15 reps, 4-1-X-0 tempo, rest 60 sec. 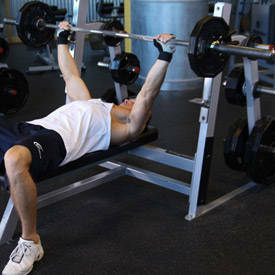 4 sets of 10 reps, 4-1-X-0 tempo, rest 30 sec. 4 sets to near failure, rest 60 sec. 4 sets of 10-12 reps, 2-1-X-0 tempo, rest 30 sec. 4 sets of 10-12 reps, 4-1-X-0 tempo, rest 60 sec. 4 sets of 10-12 reps, 3-1-X-0 tempo, rest 30 sec. 4 sets of 10-15 reps, rest 60 sec. 4 sets of 10-12 reps, 4-1-X-0 tempo, rest 30 sec. 4 sets of 12-15 reps, 60 sec. 4 sets of 15 reps, 3-1-X-0 tempo, rest 30 sec. 4 sets of 10-12 reps, 3-0-X-0 tempo, rest 30 sec. 4 sets of 15 reps, rest 60 sec. 3 sets of 8-10 reps, 4-1-X-0 tempo, rest 90 sec. 4 sets of 10-12 reps, rest 30 sec. 3 sets of 12-15 reps, 4-1-X-0 tempo, rest 60 sec. 3 sets of 8-10 reps, 4-1-X-0 tempo, rest 30 sec. 3 sets of 4-6 reps, rest 120 sec. 3 sets of 8-10 reps, 2-1-X-0 tempo, rest 30 sec. 3 sets of 10-12 reps, rest 60 sec. 3 sets of 8-10 reps, 3-0-X-0 tempo, rest 30 sec. 3 sets of 12-15 reps, rest 60 sec. 4 sets of 8-10 reps, 4-1-X-0 tempo, rest 90 sec. 4 sets of 12-15 reps, rest 30 sec. 4 sets of 12-15 reps, 4-1-X-0 tempo, rest 60 sec. 4 sets of 8-10 reps, 4-1-X-0 tempo, rest 30 sec. 4 sets of 4-6 reps, rest 2 min. 4 sets of 8-10 reps, 2-1-X-0 tempo, rest 30 sec. 4 sets of 10-12 reps, 60 sec. 4 sets of 8-10 reps, 3-0-X-0 tempo, rest 30 sec. 4 sets of 12-15 reps, rest 60 sec. Back off to 75% of Week 4 volume and weight. Everything about this program is strategically designed to stimulate muscle growth while building strength to go along with it. Remember to leave your ego at the door when necessary, and you will get plenty of return on your time and hard work. This is an intense hypertrophy program, so don't let it go to waste by backing it up with a crappy diet. If you are running this, your goal should be to build muscle. Eat like you mean it! If you don't, you are needlessly beating yourself up and will have nothing to show for it. 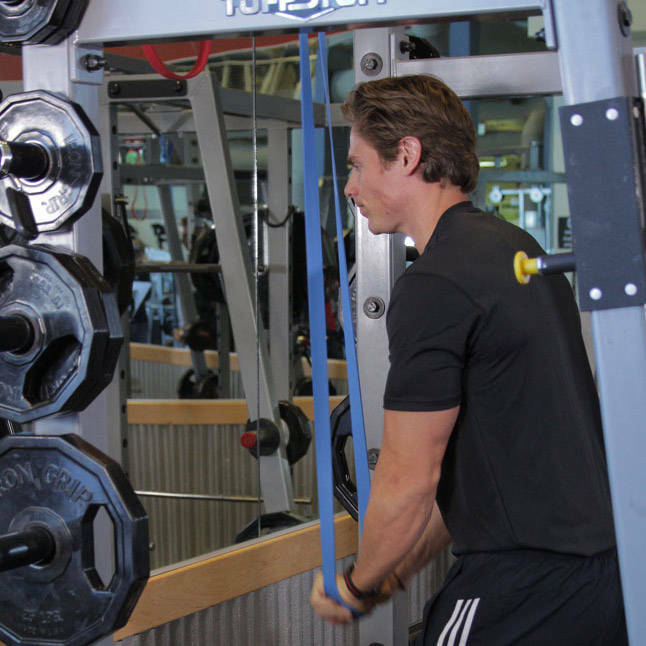 Experienced lifters know that recovery is as important as time in the gym. 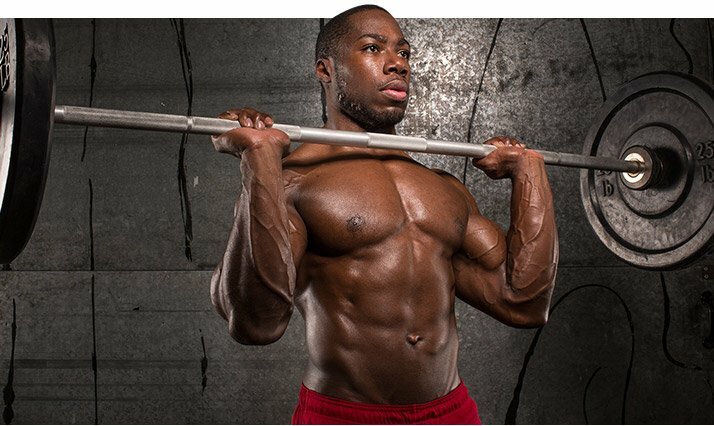 After you've wrapped up the four weeks, make sure you utilize a deload. Don't skip it. This will allow your body to fully recover and take advantage of a supercompensation effect. After that, you can repeat the program again, or move on to a higher intensity strength-focused program to put the muscle you built to use, like my Cluster Training Program or Strong In 8 Weeks! 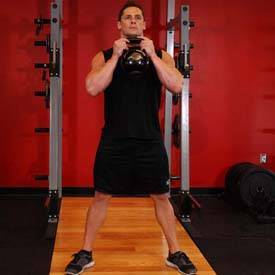 Chris Smith is a strength coach from New York City and the founder of Train Better Fitness.